Man Sells Pens On The Streets To Survive. 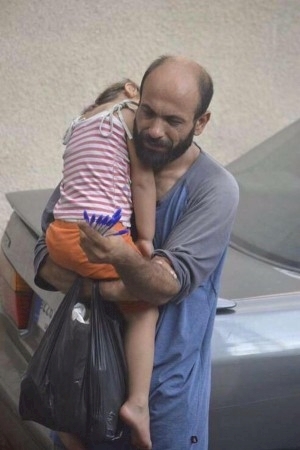 Then A Stranger Snaps This Photo Of His Daughter..
Meet Abdul Halim al-Attar, a Syrian refugee who was pictured selling pens in the streets of Beirut. After being displaced by the conflict, Abdul resorted to selling pens in order to provide food and shelter for his family. Recently, a stranger captured a photo of Abdul carrying his daughter, Reem. 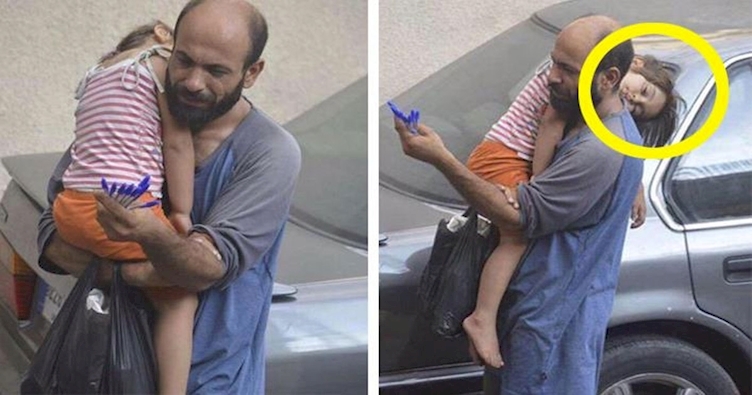 While carrying his daughter, he is also seen trying to convince others to buy pens so he could provide for another day. The photo has gone absolutely viral and touched the hearts of many all across the world. The picture of Abdul is absolutely heart breaking and offers a true look into the crisis. For many people, this life is a reality. 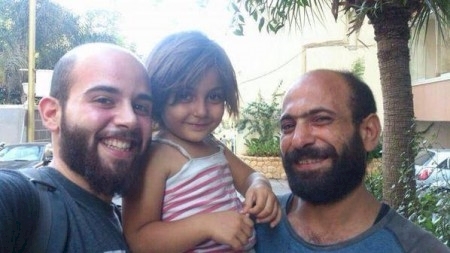 Thanks to a Norweigian web developer named Gissur Simonarso, an online crowdfunding campaign was put together in order to raise money for Abdul and his family. The amount of support that came as a result was astonishing, as nearly $200,000 was raised. As a refugee with very little to his name, Abdul had big plans for the money. Abdul cleverly invested his money as soon as he received it, by opening multiple shops in Lebanon. Knowing the struggles of others, Abdul went out of his way to hire other Syrian refugees and has employed 16 of them throughout his shops. On top of that, Abdul has sent a large sum of his money over to friends and family currently enduring the crisis in Syria. Grateful for the help, Abdul said, "Not only did my life change, but also the lives of my children and the lives of people in Syria whom I helped." The money has also went a long way by providing Abdul and his family with a 2 bedroom apartment, as well as clean clothes and security knowing that they will have shelter and food. 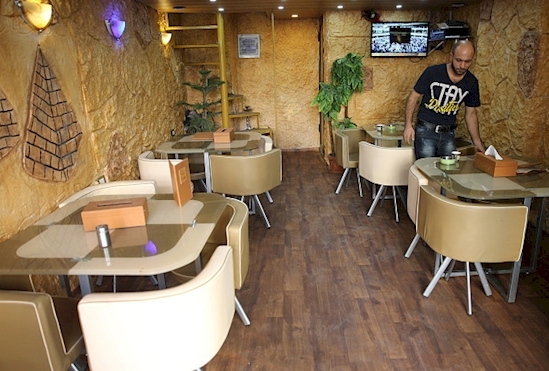 There are currently over 1.2 million Syrian refugees in Lebanon who are struggling to find employment, so his help in opening shops and employing some of those few is extremely help. Abdul's commented on the improvement in his quality of life. He talks about how he finally feels as if he is a member of his community, that Lebanese and Syrians are now kinder to him, and said, ""They just greet me better now when they see me. They respect me more." While the ending to Abdul's story is heart-warming, there are still a great many refugees in dire need of basic necessities.